Another King James throwback coming soon. Nike is bringing back another colorway of the Zoom LeBron 3. The latest retro from LeBron James' lengthy signature line will be the OG "White/Navy Blue/Silver" LeBron 3 that first debuted at retailers in 2006. This pair features a navy blue and white upper, white patent leather overlays, and silver accents. Branding includes a Swoosh on the lateral heel and lion's head stamped on the tongue. Throwback "LJ23" logos can be seen on the dubraes, medial heel, and insole. King James wore a similar PE version during his first stint as a Cleveland Cavalier that included his initials etched on the lateral toe in cursive. This pair could potentially act as the second retro of the Zoom LeBron 3 from Nike. 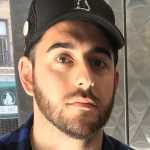 The first was a limited drop of the former-PE for Christ the King High School that took place during New York Fashion Week this past September. The "Black/Gold" colorway has also been rumored for a return. According to US11, the "White/Navy Blue/Silver" Nike Zoom LeBron 3 is expected to hit retailers on Dec. 20. 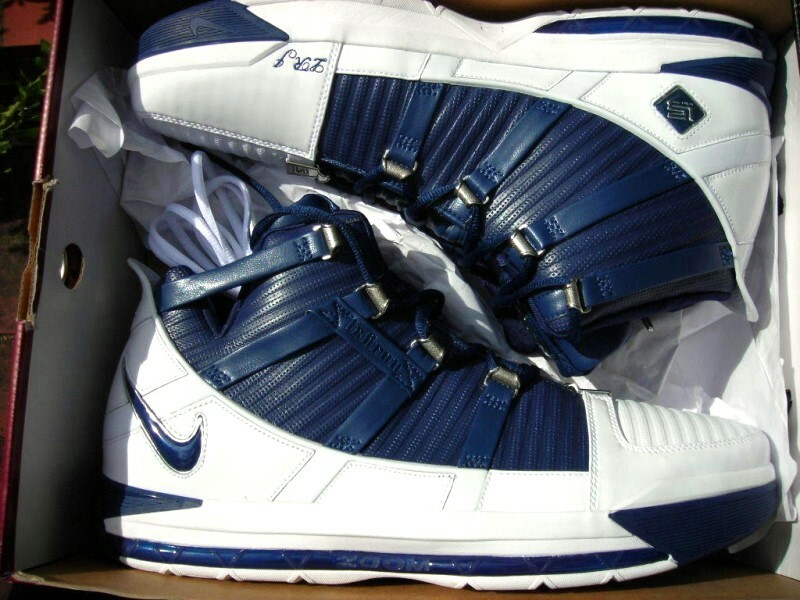 UPDATE (12/13): Official images of the "White/Navy Blue/Silver" Nike Zoom LeBron 3 retro have surfaced. This pair is still rumored to release on Dec. 20, but that date has yet to be confirmed. UPDATE (02/04): An official release date has been revealed for the "Midnight Navy" Nike Zoom LeBron 3 retro. The pair will hit Nike SNKRS and other select retailers on Friday, Feb. 8 for $175. Nike Zoom LeBron 3 "Midnight Navy"